3M™ VHB™ Tape 4910 Clear is ideal for transparent materials or where ever a clear bond is needed, effectively replacing screws, rivets, and studs when bonding materials; resulting in a permanent hold and clean appearance. Our 40.0 mil tape provides short-term temperature resistance up to 300°F (149°C) and long-term resistance of up to 200°F (93°C). Unlike screws or rivets, 3M VHB Tape spreads the stress load across the entire length of the joint and will accommodate variable expansion and contraction rates. Once materials are joined, a virtually indestructible weld is created. This tape's clear construction is ideal for applications such as sealing skylight inner/outer dome assemblies and/or edge-bonding resin filled glass. 3M VHB tapes were introduced in 1980 and were the first of their kind. 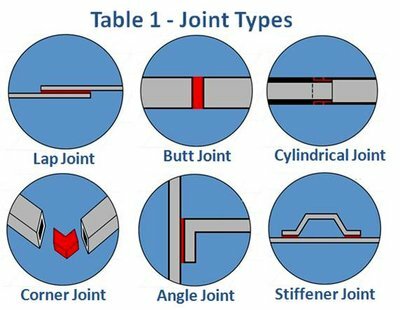 Our unique tapes combine conformability and a strong permanent bond. The result is a family of extraordinarily strong tapes that adhere to a broad range of substrates, including glass, metal, MSE plastics such as rigid PVC, acrylic, polycarbonate, ABS and polystyrene, most powder-coated paints, painted or sealed wood and sealed concrete. 3M VHB Tape can be used both indoors and out in a variety of applications, including permanent sign and panel mounting, component attachment and repair. 3M VHB tape is a proven alternative to screws, rivets, welds and other forms of mechanical fasteners. These tapes are used in one or more steps in the assembly, mounting, fastening, and sealing process in skyscrapers, cell phones, electronic highway signs, refrigerators, marine electronics, architectural windows, recreational vehicles, and trailers. 3M™ VHB™ tape fits into grooves, around corners and through curves while offering a durable bond in a way that mechanical fasteners can't. This innovation provides opportunities for quick, effective MRO and the ability to design structures in new and different ways. 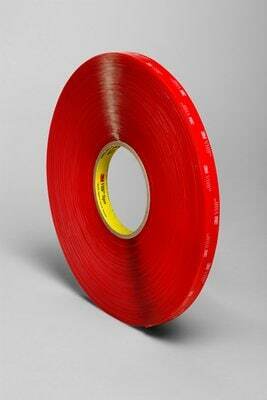 The result is an extraordinarily strong tape that holds fast to a wide range of materials. Applications include bonding and sealing lenses over LED panels, bonding pre-painted metals, bonding and sealing plastic windows to pre-painted panels. 3M VHB Tape can enhance the appearance of finished goods by eliminating rivets and screws while providing immediate handling strength. In most cases, fastening with 3M VHB tape is a quicker process than drilling, fastening, or using liquid adhesive. Our versatile line of tape can be used indoors or outdoors in a variety of applications, including window and door assembly, sign assembly, electronics, maintenance and dozens of other industrial applications.